How tragic that the sword of Roman persecution was replaced by a circular firing squad in the Church almost as soon as Christianity was legalized in the 300’s AD! With all the blood that was shed by Christians who paid the ultimate price for refusing to worship Caesar, Christians suddenly turned on one another and began to destroy one another with church trials, exile, and even political execution. It makes me wonder which time was better. This sad reality was brought home to me by J.N.D. 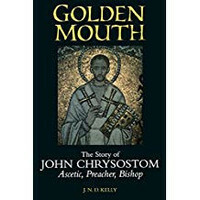 Kelly’s biography of John Chrysostom, Golden Mouth, a nickname (Greek Chrysostomos) for the most wildly popular preacher of 400 AD, who served for a few short years as archbishop of Constantinople and pastor to the Emperor, before he was brought down by an assortment of enemies in the church who engineered his exile from which he never returned. I discovered this book at a time when the scene it described looked amazingly similar to what I was seeing around me in today’s church. We today don’t have the same domestic violence for which Greek bishops were infamous (see “giver of blows” on Paul’s list of disqualifiers for a bishop in Titus 1:7). And I don’t remember pagan priests scratching and clawing for power this way. But what I saw in the late 300’s AD looked disturbingly familiar and yet reassuring. We’ve been here before. It was not the end of the world. God did not hit the Delete button. Plus, during the short reign of Julian the Apostate, the Christian Church loses its status, and the old Roman gods are promoted. John, the future preacher, gets converted as a teenager in Greek rhetoric school, yet he wonders what will happen, with all the currents of religion and politics swirling around him at his vantage point in Antioch. John turns out to be a brilliant orator who connects with the common people. When his rhetoric teacher is asked on his deathbed who would be his successor, he says it should have been John, if those rascally Christians hadn’t stolen him from them. 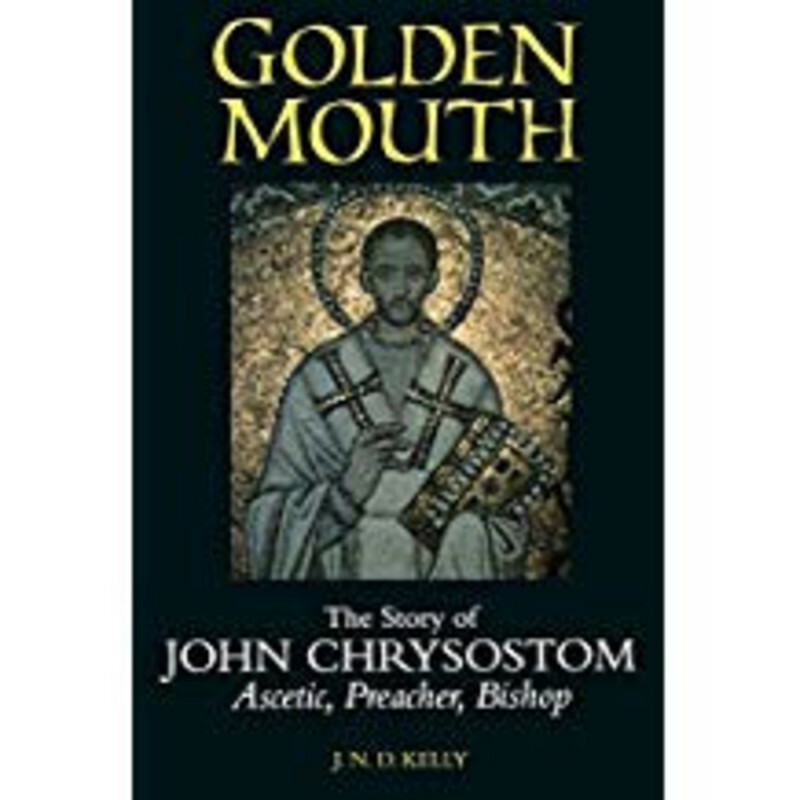 But John counts himself unworthy of the call to be a pastor, and spends almost twenty years as a monk before agreeing to lead a congregation. John becomes a champion of missionary outreach to the Gothic invaders and to heretics. He condemns the practice of cohabitation between monks and celibate women who traded men’s work (banking and business) for women’s work (cooking and cleaning). He becomes a champion of the hard-core poor who literally starved to death at the city gates. He begins to divest the church of businesses that were designed to produce income (farms, real estate, rental businesses) that were a distraction from ministry. But John earns himself enemies among those who find his management style to be too authoritarian, and those who resent his insistence on a simple lifestyle rather than living large on a government payroll. And John’s habit of shooting off his mouth about women who live lavish lifestyles at the expense of the poor earns him the enmity of no less than the Empress herself, which will come back to bite him. The details are too complicated to summarize. (Kelly’s book is based on oodles of first-hand sources, including volumes of John’s sermons. If you’ve had Greek, your Greek will get a healthy workout!) The chief ringleader against John is the archbishop of Alexandria, Egypt, who has a personal grudge against John, and who relentlessly pursues John’s destruction. John’s opponents, including men who had been disciplined by John or who had wanted his job, converge on the capital city and lodge a long list of serious political charges against John, including claims of treason. The emperor sends him into exile, first to Armenia, then to a site beyond the Black Sea, en route to which John dies because his health has been exhausted. John’s story is by no means an exception. It was the rule, which was a hideous scandal to the name of Christ. The political methods of the Empire stay the same; just add in “Christ” as an excuse to destroy your neighbor. Sometimes it's not so bad, which is why I said the story was somewhat reassuring in some ways. Perhaps it is not quite so bad today, but it still often looks like a circular firing squad. Paul warned us centuries in advance: “But if you bite and devour one another, beware lest you be consumed by one another.” (Galatians 5:15) It’s amazing how the love for fellow believers by which Jesus said we would be known (John 13:35) evaporated once the sword of Roman persecution was removed.